The John B. Dey Elementary School PTA is pleased to offer three (3) $500 scholarships in honor of Betty Ann Stepheson, Joan Melton and Lee Capwell. * Applicant must have attended John B. Dey Elementary School for at least two years and be a graduating VBCPS high school senior in good standing. 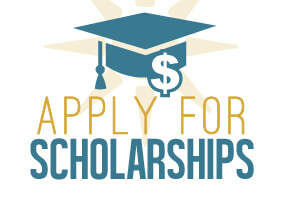 * Award recipients must provide a letter of declaration from their selected University/College/Technical school. * John B. Dey Elementary School PTA will award scholarships in the amount of $500 each to three students who meet the eligibility criteria and have received the highest scores from our panel of judges based on answers to four criteria/questions. * All applicants will remain anonymous to our judges. * Applicants must provide one letter of recommendation. * Incomplete and/or late applications will not be considered. * Completed application packets may be mailed or dropped off to the main office by 2:30 PM on March 15, 2019, Attention: Scholarship Chairperson, John B. Dey Elementary School PTA, 1900 N. Great Neck Road, Virginia Beach, VA. 23454.